“Productivity Partnership for a Lifetime”. The construction industry is calling for open, manufacturer-independent platforms with open standards to enable digital networking of the various players. Integrative networking of all players involved in the process is the vital factor in digitization. Supporting products and services must therefore be aligned throughout the entire value chain, from the raw materials producer and the mixing plant through to transportation and the road construction site, including the construction machines deployed. Given the background of openness and knowing that independence from specific manufacturers is a key success factor, the Ammann Group has decided to spin off its Digital Products department as a standalone entity named Q Point AG. The Ammann Group’s existing stock of core know-how will be complemented by expertise in construction process optimization and logistics. To achieve this goal, the newly-incorporated Q Point AG acquired hiQ solutions GmbH of Austria at the start of March 2018.
hiQ solutions specialises in services for the optimization and control of construction processes in asphalt and concrete road construction as well as earthworks. The existing customer base comprises renowned European construction enterprises which can immediately benefit from the groundbreaking range of services on offer. The implementation of a manufacturer-independent digital platform Q Point offers a consistent, uninterrupted flow of data and information from the customer (invitation to tender) that includes 5D planning, execution, accounting / billing, documentation, operation and decommissioning or dismantling. The Q Point platform is a critical business factor because of its ability to penetrate customer processes. Alongside functionality, users accord crucial importance to requirements such as availability, safety, security and data protection. As a result of the merger and thanks to the existing network of partners, Q Point has the performance capacity required to offer all services at both local and global levels. Ammann’s “Productivity Partnership for a Lifetime” motto is also a cornerstone for this new group of companies which will operate independently of the Ammann Group as such. 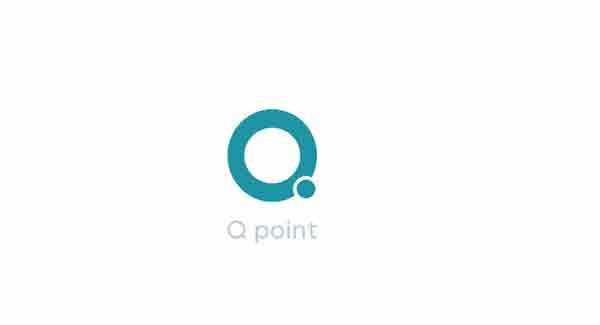 As of now, Q Point is present on the market with hiQ solutions’ existing products. Ammann is a world-leading supplier of asphalt and concrete mixing plants, machines and services to the construction industry with core expertise in road building and transportation infrastructure. The Group includes over 20 companies and has some 3,700 employees across the globe, including about 420 at the Langenthal facility. This family-owned company was founded in 1869. Hans-Christian Schneider, current Ammann CEO, is the sixth generation to run the business. Headquartered in Vienna (Austria), hiQ solutions GmbH is an acknowledged technology leader in the Germany-Switzerland-Austria region for construction process control and optimisation in the civil engineering sector. hiQ was established in 2012 as an independent environment to provide outstanding practice-oriented solutions for the construction industry; nowadays, it is a partner for software-based process optimisation (IoT and BIM). Thanks to our own software company within the Group and a network of high-calibre partners, users now benefit from integrated solutions across the entire civil engineering value chain.